Whether you’re engaged already or soon will be, Premarital Counseling can help you successfully prepare for your lifelong journey together. Every person is unique, so gaining a better understanding of your future spouse will help you grow closer and deal with any differences discovered now, before they can cause any problems. To help get you ready for marriage, our Premarital Counseling features Prepare & Enrich®, the nation's leading relationship inventory and skill-building program - with over 3 million couples served! Prepare/Enrich® begins with a customized couples assessment completed online that identifies a couple's strength and growth areas. Topics covered by the survey include communication, conflict resolution, roles, sexuality, finances and spiritual beliefs. The survey takes about 30-45 minutes to complete. However, Prepare/Enrich® is not just any survey: the items you respond to are based on research and are intended to help you identify the unique strengths and potential growth areas of your premarital relationship. Once complete the survey is followed by 5-6 sessions to go over the results. In these sessions we will explore strengths, address growth areas, improve communication skills and help resolve any potential conflicts. Call or email us today to prepare for your new life together! Start Right, Stay Connected™ is a one-day premarital workshop designed to provide couples with a solid foundation as they start on their journey toward marriage. In a fun and dynamic setting, you will learn communication and problem solving tools, how to deepen your connection and create a shared vision for your relationship. Whether you are preparing to be married, newly married or committing to a long-term relationship, Start Right, Stay Connected™ is an opportunity for you to get the knowledge and tools you need to navigate the challenges of marriage and help your committed relationship last. 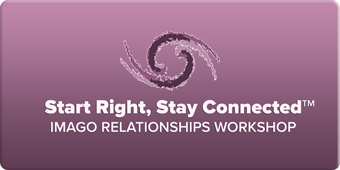 Start Right, Stay Connected™ is relationship education, not therapy, and includes lectures, demonstrations, couple’s dialogues and written exercises. There are many opportunities for group sharing, but the seminar emphasizes partners’ sharing privately with one another. You are not required to share anything with the group except for a brief introduction and closing. One day can make a huge difference in the rest of your life, so please signup for the Start Right, Stay Connected™ workshop today.